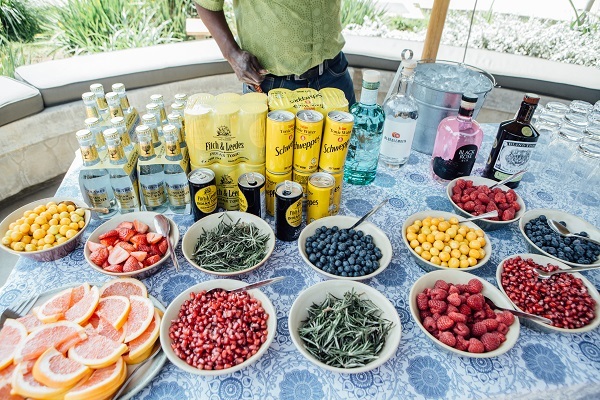 The day started off with a design-your-own-drink styled gin bar in the courtyard at Nando’s Central Kitchen (CK), followed by an informal information session on how and why Nando’s supports the creative arts. The group then enjoyed a tour of Nando’s CK, while playing a game of art bingo. The winner, Tayla Foong of Dokter&Misses, got to choose a Creative Block of her choice from the Nando’s collection to take home with her. The tour then proceeded to Victoria Yards, where designer David Krynauw was on hand to show everyone his studio and chat about his work. 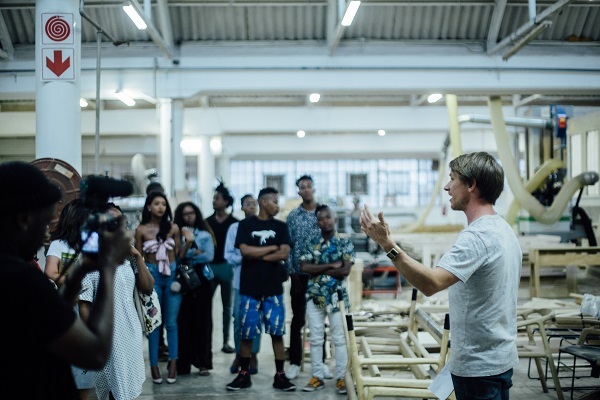 Unfortunately, the weather then took a turn for the worse, but undeterred by the rain, the group met artists Nkosinathi Quwe and Vusi Beauchamp. 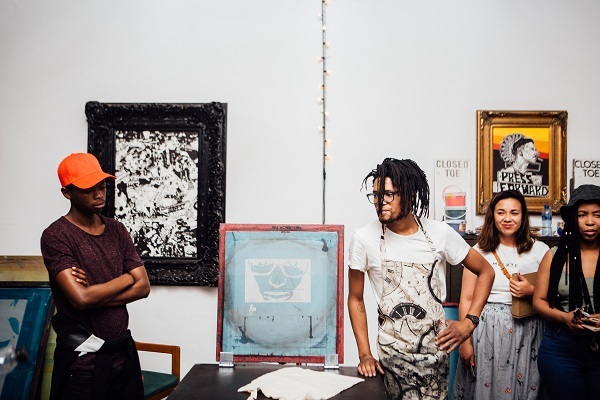 From there, the group escaped the rain to check out the Spier Arts Trust studios. Next up was a fun activation – each person had the opportunity to create a screen-printed tote bag as a keepsake. Finally, the tour finished back at the Victoria Yards bar. Check out some more photos from the day, courtesy of photographer Kgomotso Neto Tleane over here. For more information on Nando’s art and design, visit www.nandos.co.za/explore/art.